Whether you want to become the next Google or the next Habitat for Humanity, scaling is a key goal–one that presents a complex problem. Here’s how to determine your scaling strategy. Though buzzed about, what scaling actually is remains ill-defined. Let’s change that. Scaling means achieving more efficient, effective, and widespread adoption of an innovation. In other words, getting a huge bang for the bucks invested. Whether you want to become the next Google or the next Habitat for Humanity, scaling is a key goal–one that presents a complex problem. 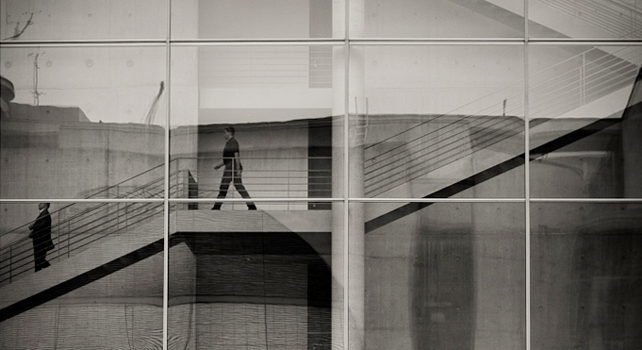 There isn’t a universal secret sauce for scaling success. Scaling requires a combination of research, hard work, and creativity, all tailored to a venture’s particular environment. The fundamental idea here is first to learn all you can about the resource providers, forces and trends, and allies and rivals in your ecosystem. Resource providers are the individuals and entities that can potentially supply assets to the organization in the form of human capital, social capital, political capital, financial capital, technological capital, natural-resource capital, and access to markets. Forces and trends are the shifts that are occurring outside the organization in the economy, culture, political systems, demographics, and weather/climate systems. Allies are other organizations that can collaborate or partner with you to help enhance your resources, potentially by capitalizing on forces and trends. Rivals are other organizations that try to compete for resources or thwart your achievement of your mission. From understanding the ecosystem, you can then build in the seven key organizational capabilities, which I call SCALERS: Staffing, Communicating, Alliance-Building, Lobbying, Earnings-Generation, Replicating, and Stimulating Market Forces. While successful scaling may not require developing all seven SCALERS capabilities, improving most of these capabilities will usually be desirable in a scaling effort. Here are some organizations that I believe to be exemplars of how to build each capability. I cite a social-purpose organization that has built a capability effectively–drawing on material from my book titled Scaling Your Social Venture–but I also mention for-profit companies that have used that capability to help them scale. PlayWorks has done a great job with staffing–recruiting, training, and retaining talented “coaches” to supervise and manage recess in schools all over the USA. The ability to attract and retain extraordinary talent has also served Microsoft and Google extremely well. Susan G. Komen for the Cure has excelled at communicating–persuading hundreds of thousands to support their work to combat breast cancer. Apple and Facebook have excelled at building this capability, using communications tools ranging from media advertising to personal selling to social media stimulation, to cultivate relationships with larger and larger audiences. KaBoom has done superb alliance-building–partnering with community groups, governments, and corporations to build playgrounds in needy neighborhoods. Expertise in developing productive partnerships has also fueled the scaling efforts of Amazon and PayPal. The Campaign for Tobacco-Free Kids has accomplished much with lobbying (or advocacy)–persuading legislatures, judges, and regulatory authorities to make tobacco products harder and more expensive for young people to acquire. An ability to obtain favorable treatment and/or budget allocations from local governments has certainly helped the National Football League grow. REDF has demonstrated numerous ways to do earnings-generation–working with organizations to develop price-competitive food-service, property-maintenance, extermination, recycling, and other businesses that give poor people jobs while establishing sustainable enterprises. Being price competitive while reducing costs in their supply chains has been a key to the phenomenal growth of Walmart and Costco. Aflatoun has been successful at replicating—developing curriculum materials to teach children financial skills through franchise partners all over the world. The ability to establish efficient, replicable operations systems has also fortified the scaling of Starbucks and UPS. Fair Trade USA has been effective at stimulating market forces–creating certification systems for fair trade coffee, chocolate, bananas and other products that provide evidence that growers are treating their employees and the natural environment well, thereby stimulating more consumers to buy these products. eBay and Square are exemplars of market stimulation and creation, the former in creating a huge market for auctioned items and the latter by helping small businesses accept charge cards more easily and safely. All of these organizations have achieved considerable scaling success. They have been especially adept at building the cited capabilities, but they have not overlooked building the other six SCALERS capabilities. They have adapted well to their shifting ecosystems and emphasized building a blend of capabilities that fit their unique situations. So if you are eager to scale your venture, start by studying your ecosystem and identifying as many of its nuances and potential changes as you can. Then have a heart to heart with yourself about the state of your organizational capabilities. Which capabilities are strengths and which are weaknesses, given the shifting ecosystem and the competition that you face? Moreover, which capabilities can be built upon most readily and which will require unreasonable amounts of expenses and effort to enhance? All this analysis should help you determine a scaling strategy, which can be viewed as the mix of SCALERS capabilities that you want to emphasize building to obtain the best fit possible with your ecosystem. In a sense, the challenge of determining a scaling strategy is similar to the challenge faced by the person operating the soundboard during a musical concert. At the concert venue, a group of sliding levers has to be set in different positions–some high, some low–in order to get the sound to mix appropriately for the ears of the audience. For the entrepreneur, the “levers” of each of the seven SCALERS will have to be set in appropriate positions to reflect the scaling mix that works best for the ecosystem. Paul N. Bloom is Adjunct Professor of Social Entrepreneurship and Marketing in the Center for the Advancement of Social Entrepreneurship at Duke University’s Fuqua School of Business. 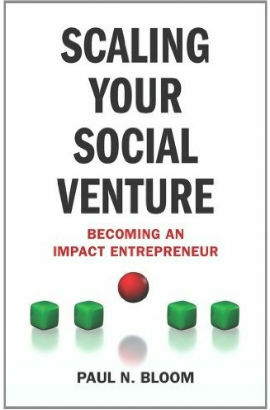 His new book is Scaling Your Social Venture: Becoming an Impact Entrepreneur (Palgrave Macmillan).